In Somalia, governmental troops backed by Ethiopian soldiers are said to be advancing rapidly to the capital Mogadishu. The UN's special envoy to Somalia says the war threatens the whole region. After a week of clashes, fighters from the Union of Islamic Courts are in full retreat. Ethiopian forces, fighting alongside Somali governmental troops are expected to capture the capital Mogadishu in the next couple of days. 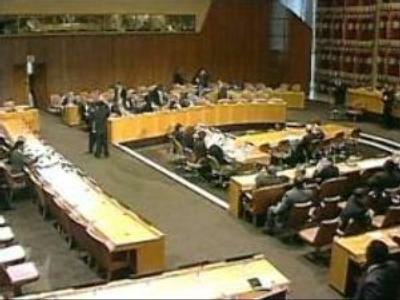 Meanwhile in New York, the UN Security Council held an emergency meeting to discuss the crisis. The organisation's top envoy in Somalia, Francois Lonseny Fall, urged the UN to call for an immediate ceasefire, saying talks were the only way to solve the problem. “The crisis in Somalia has escalated dangerously as the hostilities between the Transitional government and the Union of Islamic Courts have now expanded across a 400 kilometre-wide front. The conflict now involves foreign forces and use of heavy weapons and aircraft,” he described the grave situation. But the council failed to agree on a draft text. Russia was among a host of nations who rejected a statement from Qatar calling for the immediate withdrawal of all foreign forces from Somalia, including Ethiopian. Both sides in the conflict claim to have killed hundreds of enemy fighters, but there have been no independent confirmation on casualties. The Red Cross says around 800 people have been treated at clinics for war injuries. The organisation has also warned both sides to respect the rights of prisoners. Thousands have already fled the fighting, seeking food and protection at refugee camps. The UN is preparing to receive up to 200,000 Somalis in camps along the Kenyan border. But the mass exodus some had expected has so far failed to materialise.